A Smartphone, a Stylus, and My Season As a Sketch ArtistYou don’t need to be divinely talented to enjoy the convenient relaxation of smartphone sketching on your commute. 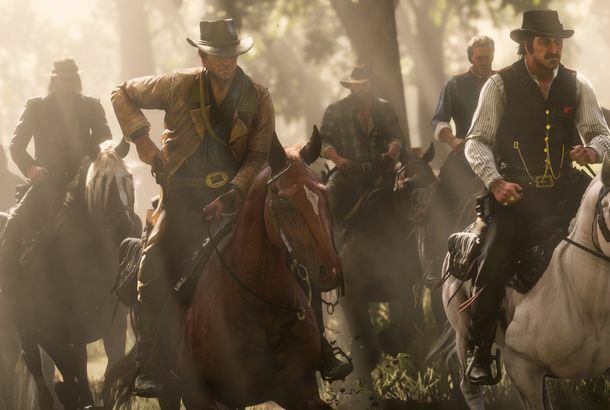 Red Dead Redemption 2 Is Pure, Chaotic Fun on HorsebackSaddle up for one of the year’s most anticipated video games. 21 Video Games We Can’t Wait to Play in 2018It’s gonna be tough for 2018 to match the overall quality of 2017’s releases, but there’s still plenty to get you excited. Logan Paul Posts Footage of Apparent Suicide Victim on YouTube“I think this definitely marks a moment in YouTube history,” says Paul. The 10 Best Video Games of 2017When Nintendo is at its best, its games are hard to top. The PlayStation 5 Is Likely Years Away, So You Might As Well Grab a PS4 SlimA good deal should dissuade you from any temptation to wait for the next generation. The SNES Classic Is Coming to Stores September 27 for $80And it’ll include a previously unreleased Star Fox sequel. The 9 Video Games You Won’t Want to Miss This SummerIncluding Uncharted Revisited, slasher horror, a stylish indie, and more. Short Reviews of the 7 Nintendo Switch Games That Aren’t ZeldaIncluding options for fans of Final Fantasy, Bomberman, and milking cows. You Should Buy a PlayStation 3 Even If You Don’t Play Video GamesFor the cost, finding a multimedia device as full-featured as the PS3 is nearly impossible. How to Experience Virtual Reality on Any BudgetVR is a reminder that below layers of abstract thought, we’re still just walking apes who will freak out if a bright light comes at us from the corner of our eyes.